We all have days when we feel a bit down in the dumps. Thing aren’t going so great at work, family is driving us potty…we’ve eaten the last hobnob etc.. Life can certainly be wobbly. Well fret no more. When you are having a wibble, just turn to the master of The Feel Good Factor, Jen Lewis of JayHell Art. Creator of all things positive, life affirming and motivational, Jen is on your side and believes in the power of you you you. So no more excuses ladybugs. It’s time to grab life with all fingers and toes and show the world who’s boss. WIN this piece of gorgeous JayHell textile wall art! This inspiring textile wall art has been created using digital fabric transfers, purple wool felt, vintage Liberty fabric applique and recycled calico fabric, with very decorative metallic effect sunshine yellow machine embroidery stitching to embellish…oh yes it has and it can be yours! Winner to be picked on Monday 30th May. I love textile wall art, every time I try to make some it always seems to look a bit rubbish. I am always amazed at how other people can do such gorgeous things. I love the wall art. So motivational! My 16 year old daughter has fibromyalgia and chronic fatigue syndrome. 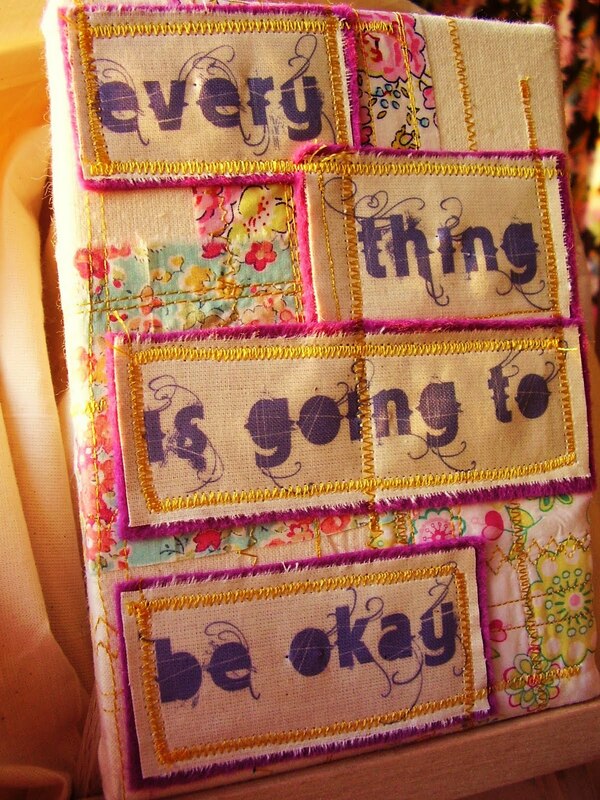 This would be perfect for her to put in her room to remind her when she is feeling bad that everything will be okay. How gorgeous! I’m following your blog. I’m leaving a comment! Hahaha. Done the following and RTing on twitter – although I was already stalking you! Wow you are sooo generous!! 1. I already follow your blog via GFC (feefeegabor at googlemail.com). 3. I follow you on twitter already (@feefeegabor) and now follow JayHellArt. 5. I’m a fan on FB too (Fee Edwards MSE). Phew! Hope you don’t think I am some crazed stalker after all that. I’m not. Honest. 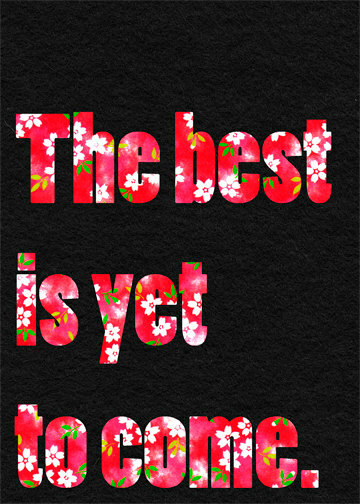 Aren’t those words so wonderfully reassuring and uplifting. We do need to hear them at times, don’t we? !